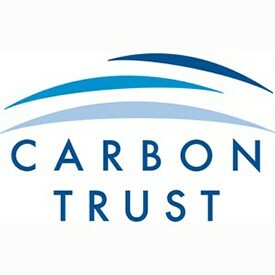 In this blog series experts from the Carbon Trust explore some of the areas of opportunity to accelerate action and increase ambitions, overcoming the barriers to creating a sustainable, low-carbon economy. With the exception of Nicaragua and Syria, every country in the world signed the Paris Agreement. The overwhelming majority have now also ratified it. They signed it for a very good reason – the consequences of even two degrees of warming are severe. Changing weather patterns and rising sea levels will cause chaos. They can destroy ecosystems and damage the economy. In turn, this poses a real risk to global stability and security, leading to migration and provoking conflict. We are already experiencing the early effects from record high temperatures and increasingly extreme weather events. The clock is ticking and urgent action is needed. By pulling out of the Paris Agreement, Donald Trump will undoubtedly slow progress in some areas. One of the biggest impacts from US withdrawal is likely to be the loss of climate finance and assistance for developing countries. Under the Paris Agreement each country pledges its own nationally-determined contributions to global emissions reductions. But many countries made both absolute and contingent pledges, where a higher level of ambition was dependent on receiving international support. Without US federal money on the table, it is likely that some countries will take the easier of the two paths at least in the short term. However, Trump’s actions are unlikely to have any effect on the direction in which the world is travelling, which is increasingly towards a low carbon economy – primarily driven by the business opportunity. Progress to date is genuinely promising. The growth in global emissions has stalled, even as the economy grows. Investment in coal is collapsing, with stocks falling even in the face of US withdrawal. Renewable energy is far cheaper than predicted and being deployed at a faster rate. Battery technology is advancing far quicker than expected and the expectations for electric vehicle sales are going upwards in an increasingly steep curve. In the face of US backsliding, China and the European Union have stepped forward as global leaders and strengthened their commitments. Other major emitters like India are increasing their level of ambition and taking action ahead of schedule. This isn’t being done purely out of a spirit of altruism and goodwill. These countries believe it will give them a competitive advantage, creating wealth and new jobs. This is a business opportunity that could be missed out on by a nation that has a rich history of innovation, but is refocusing its efforts on the economy of the past rather than the economy of the future. But it is not all bad news. Even within the United States much of the current impetus for action on climate change will be unaffected. This is because the states, cities and businesses that are directly responsible for a large proportion of US carbon emissions are making their own bold commitments to action that will deliver meaningful change. The governors of 12 states representing a population of over 100 million Americans and almost 40 percent of GDP wrote to Trump to affirm their commitment to US commitments under the Paris Agreement, aiming if possible to go further and faster. The newly-formed United States Climate Alliance is already moving this forward, with founding members California, New York and Washington. Mayors are leading the charge locally, as they realise the hard benefits that green energy and clean transportation can deliver for their citizens, as well as understanding the risks of physical damage and disruption to services that climate change can cause. Trump’s actions have been strongly opposed collectively by the US Covenant of Mayors, with a number of individual cities making their voices heard, such as Nashville and Pittsburgh. And US businesses are continuing to boost their own levels of action on climate change and have been calling for continued government commitment. The Silicon Valley titans are on board – with the likes of Apple, HP, Microsoft, Intel, Google, Salesforce and Facebook taking out full page adverts to state their support, alongside others huge corporations including Mars and Morgan Stanley. The reason this is all happening is because the evidence is clear and the case for action is unequivocal – or at least it is unequivocal outside of the current US administration. We have finally reached a tipping point where there is a clear and affordable path emerging to achieving a zero carbon world this century. And most governments, businesses and investors have woken up to the severe risks of failure to adapt, as well as the considerable opportunities in doing things better. When logic and common sense fail in the face of illogical and intractable opposition, there is only one thing to do, which is to ignore Trump and keep taking action on climate change. It is the right thing to do and many of the right things are already happening. It is time to get on with the job.